James Farmer, popular designer, author and master of the finer things will serve as the 2016 Jack N. and Addie D. Averitt Lecturer on Sunday, March 6, at 3 p.m. Farmer will speak about Southern gardens at the Averitt Center for the Arts in Statesboro. A light reception and book-signing will follow the lecture. All proceeds from the event will benefit the new garden projects at Botanic Garden at Georgia Southern University. Farmer is the author of the Wall Street Journal best-selling garden book, A Time To Plant and other books including Sip and Savor: Drinks for Party and Porch, Porch Living, Wreaths For All Seasons, A Time To Cook: Dishes from My Southern Sideboard,Dinner on the Grounds: Southern Suppers and Soirees, and A Time to Celebrate: Let Us Keep the Feast. Born and raised in the South, James is a professional garden, floral and interior designer, cook, author and lifestyle expert. James is editor-at-large for Southern Living and a frequent guest on television and radio shows. A skilled and entertaining speaker, he is truly a young and fresh voice for his generation. 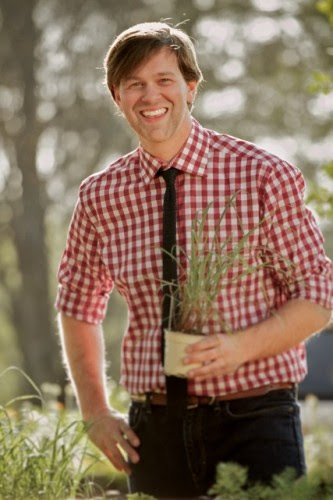 Whether he’s teaching how to plan the perfect summer picnic, using everyday items to create exquisite tabletops, creating gorgeous flower arrangements and wreaths, or making his grandmother’s skillet peach pie, Farmer masterfully guides his audience through the art of elegant garden living. The event is a joint project of the Jack N. and Addie D. Averitt Foundation, Bulloch County Historical Society, Averitt Center for the Arts, Write Place, and Botanic Garden at Georgia Southern University. Tickets are available at the Averitt Center box office. Admission is $10.